Do you want to know about your website visitor’s details, their opinion about your specific services, their needs & preferences on your own website? I guess you must be! So to provide you the above-listed facilities we’re sharing 5+ high rated PHP Survey Script which works exactly according to your requirements. Yes, these PHP Survey Script is a feature-rich script which allows you to add online survey functionality into your website. With the help of these script you can easily and elegantly gather the information about people’s experiences regarding your services, their preferences, needs, product evaluation details, or many other surveys with the questions and answers option. These scripts come with a user-friendly administration panel which allows to manage the different settings. Also, you can create your own custom surveys with multiple fields and layouts, and it gives you the option to checks the complete survey’s details. Apart from the above features, these powerful PHP Script allow you to create surveys as well as polls with which one can ask a single as well as a wide range of multiple questions effectively. The PHP Poll Vote Script is one of the powerful survey script designed to create premium polls for your website which lets your users to vote in order to get valuable feedback about your services. The product is very useful as it patches and fixes any bugs or broken content found on your site. With this, admin can create an unlimited number of polls and can keep them separate from other user’s polls. It allows viewing the detailed result page of each poll, including all logged votes, monthly/weekly votes, country wise votes etc. There is an iFrame code available so you can place your polls on your site as well as WordPress site. Option for the user to archive their old polls, delete or modify them anytime. You can add an unlimited number of answers with images on each poll. You can set the poll publically as well privately. The product will cost you $23 with 6 months support or you can extend its more advanced features at $107 only. 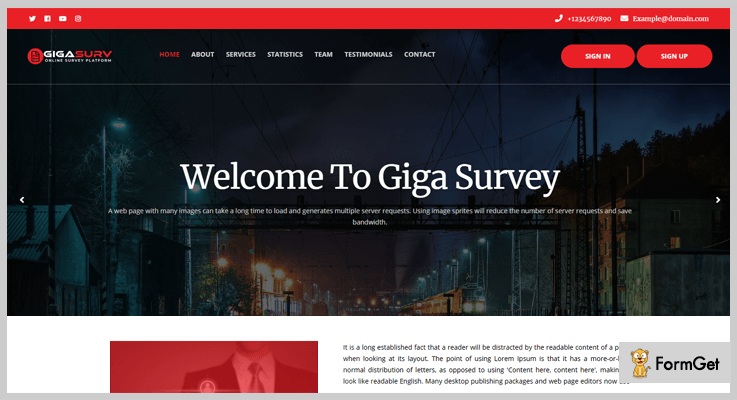 GigaSurv is an online survey script and is one of the best product to create online surveys to analyze the current market statistics, you can also create various MCQs for test purpose and several other. 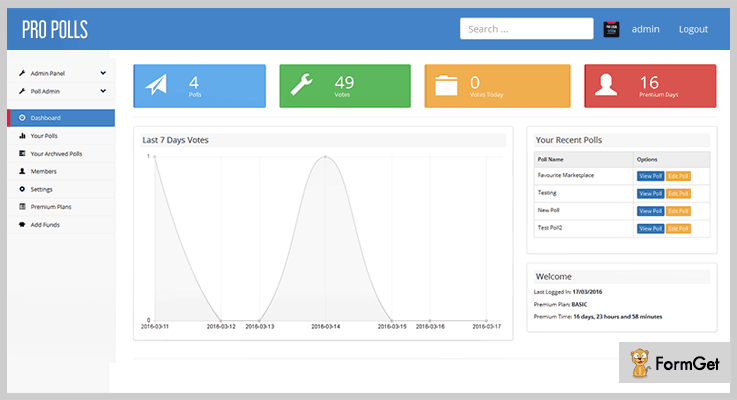 It has a unique user dashboard where the user can get the overview of all their surveys details and even can manage them effectively. It is 100% secure and has a dynamic panel which allows you to maintain and change your website any time. The product includes 8 automated payment method, supports Bitcoin which helps the user to make a quick transaction, supports multiple templates and many more. Moreover, the product supports newsletter management which helps you connect with your customer for a long time, subscriber list management with which you can effortlessly manage the total number of subscribers on your site. It provides you an option to survey the details of your services on daily basis. The product is integrated with SMS API Settings with which you can add global text messages to your web application within a minute. 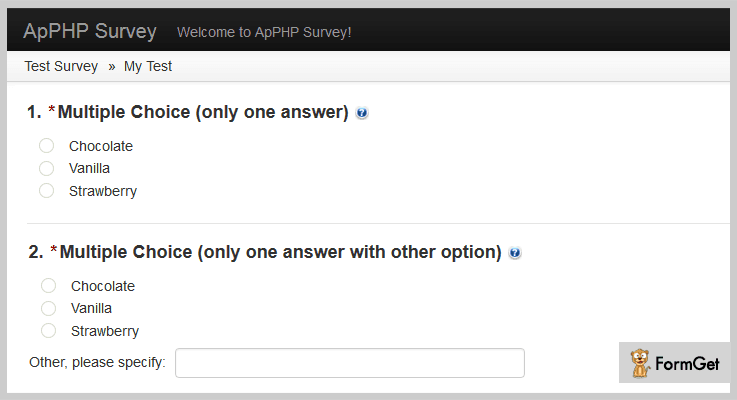 GigaSurv PHP Script allows you to create various survey questions anytime from anywhere. It generates matching to provide the user a detailed description if found anything wrong in the text. With this product, you can provide referral commissions to the users who send qualified leads. Its regular license comes at $59 and you will get all the above-mentioned features effortlessly. PHP Survey is the most popular and one of the cheapest survey platform which is a fully featured web solution. Any non-techy users can build an unlimited number of surveys and polls at the same time easily by just using this product. It permits you to gather the information of clients, gives you the complete statistics of survey and can manage all the things online in a single dashboard. In fact, you can also provide the voting system on your website so that your visitors can do a vote for your services whenever they will visit on your site. It helps you to create 18 different types of questions for the users. Provides basic statistical and graphical analysis of your surveys & polls. You can create both anonymous and not-anonymous survey. It enable the public to make registration for surveys any time. Buy its feature-rich services at $39. Or you can extend more functionalities of it by paying $103 only. Puerto Poll Script is the versatile PHP/MySQL based survey script which allows to create online surveys and polls and display its results in different forms and colors. The product is built by using the latest web technologies such as PHP5, HTML5, CSS3 etc. It supports HTML5 and animations with fully responsive designs. 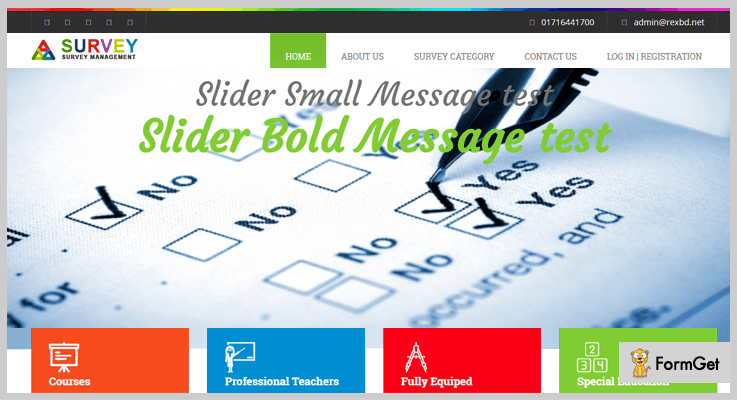 Provides embedded iFrame code which allows you to place your polls on your website/WordPress site/blogger site. Puerto Poll Script provides membership system so that one can also use its membership benefits. Users can also register by using their social media accounts as the product supports facebook, twitter & google platforms. It provides complete statistics of total locked/unlocked polls, user’s vote etc. Buy its all the features at $20 only. Moreover, you can also try its extended license at $65 which comes with 6 months supports. The Paid Online Survey Management is an online survey creator script that provides you an opportunity to build an online survey, quizzes, tests and assessments questions, both online and on paper. You can use this product as an assessment system to build your survey with various features like multiple question types, survey result system, randomization, professional layouts, and more. With the option of creating survey question, you can create an unlimited number of survey question according to the need. It offers both paid & free survey for its users where they can manage the entire things via their dashboard. The product contains a feature like balance system, withdraw system & survey archive system for the users. It allows the admin to set survey Free and Paid both. You can get the above-listed features at only $26 and if you want more advanced features of its then get its extended license at $155. iSurvey is one of the best PHP Script to add survey features to your website. The product comes with a form builder functionality as well which allow you to create a survey form and so that the user can fill any of the forms. The script permits you to send bulk emails to all your survey subscriber. 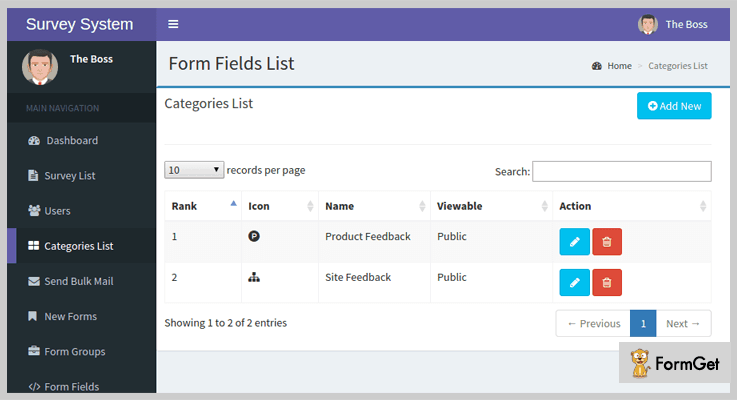 Moreover, it comes with an option of “Form-Wizard” which enable you to select forms from NewForm category. It creates both single page survey forms and multi-step survey forms. The product assigns the result to each executive of your company if they work on any particular survey result lead. It comes with SQL Injection protection & XSS Protection to keeps your data & contents secured. The product allows you to modify the CSS or JS in each form. It comes in two different pricing stages the one is its regular license which cost you $25 and another one is an extended license which cost you $125. These 6 best Survey PHP Script of 2018 comes with tons of advanced and useful features which I have already mentioned above. I believe that one of them will definitely hold your interest and you can easily create a hassle-free online survey for your website. What experience do you have after using these scripts, share your thought with us in the comment section below!